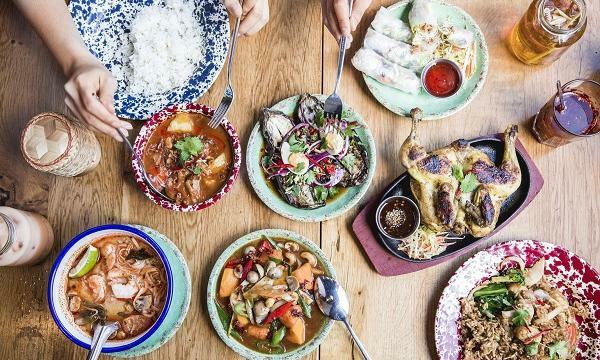 Opening their first restaurant outside of London, Rosa’s Thai Cafe is gearing up to open its doors in Liverpool’s Royal Albert Dock development on 25th February. Its in-store design will pay homage to their newest location, where it will be split over two floors and host up to 88 seated customers. The interior, curated by design agency Gundry & Ducker, will retain the original open brickwork of the building, with huge arches looking out onto the docks, an open theatre kitchen and a mezzanine level for events and private dining. “We can’t wait to open our doors in Liverpool and are so excited to become part of the city’s thriving food scene, I’m already working on some Liverpool specials to launch later in the year! As one of the first cities to open up trade links with Asia, we couldn’t think of a better place than Liverpool to open our first restaurant outside of London - especially in a location with such enviable views," Rosa's co-founder Saiphin Moore said.